Here are some handy tips! New Caledonia is such an incredible place with so much to see and do! While it is easy to navigate around this destination, here are a few handy hints to keep in mind during your holiday. Restaurants generally don’t open until 6:30pm throughout New Caledonia, and many require a reservation. Book early so that you don’t miss out! Behind Le Meridién and the Chateau Royal Beach Resort & Spa in Nouméa you can find the Ouen-Toro Park. This National Park has a selection of walking tracks, some of which lead to the top where there are two canons built by the Australian army in the 1940s. The view from this point is breathtaking, spying all the way to the Isle of Pines on a clear day. To the east of the summit you will find para-gliders descending over the bay. Keep in mind that some of the tracks can be slippery so taking solid walking shoes is a must. Getting into the city of Nouméa is relatively easy using the local bus service. The number 10 Ouen-Toro bus will take you into the city centre for $210CFP per person, per way. Most days there are food markets with plenty of local delicacies situated in the centre of town. Just beware most shops will shut during the lunch period for siesta. If you are staying at Le Meridién or Chateau Royal you can arrange a water taxi to take you to Duck Island. The return trip will cost you $1500CFP per person, and there is a restaurant on the island as well as sun lounges that can be hired for a small fee. To alleviate some of the cost bring your own snorkel gear from the resort. If staying on the Isle of Pines, the resorts can organise day trips to surrounding villages and bays. Pack a picnic and head to Kuto Bay where there are plenty of spots to swim and snorkel. There is a restaurant and a few small buildings, but apart from that Kuto Bay feels like you are on your own private island. Bikes can be hired at Le Meridién in Ile des Pins and a two hour round trip will take you to the caves (there is a small fee to enter). The island is very hilly so make sure you take plenty of water with you. There are a vast number of restaurants in Nouméa, but for a special occasion head to Le Roof. At night, the restaurant has lights over the water allowing guests to spot rays, turtles, sharks and the occasional dolphin. Here at My New Caledonia we hope these tips will assist in making your holiday even more perfect and amazing!couldn’t be easier with three flights a week from Melbourne taking 3.5 hours, three flights a week from Brisbane with a 2 hour flight time, and six flights per week from Sydney with a total flight time of 2 hours and 45 minutes. 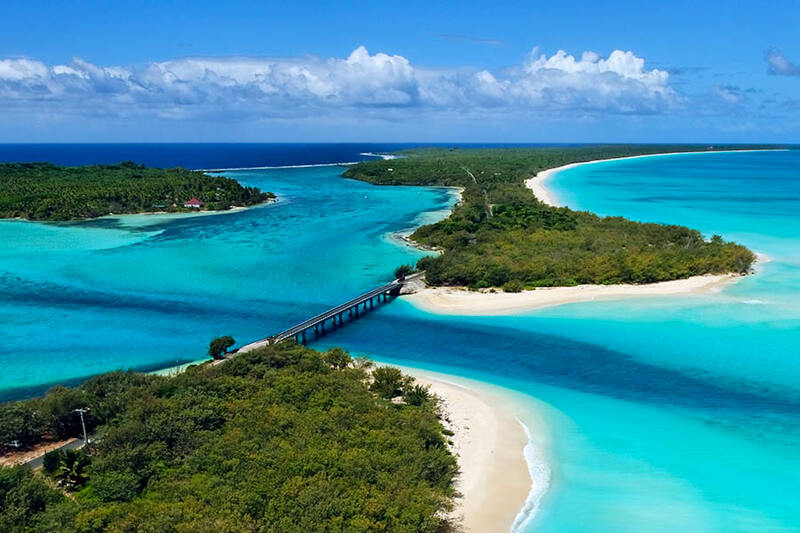 Contact our My New Caledonia Holiday Experts today to find out more!